But it’s not just about building up infrastructure to deliver a great community experience, it’s also about brand positioning: crafting a real and honest story about why each city is unique. By shaping their own narrative, cities can promote urban growth or revitalization. Simply put, city branding is critical to a city’s success. Cities and the people who love them incite movements and add richness and depth to our lives. There is a sense of pride when we can share the intimate stories of where we come from, the heritage of who we are, and what it means to others. Many cities are instilling their own foreign policies, and some are even operating as sub-national entities. Recently, Mayor Nutter of Philadelphia used the term “the rise of the United Cities of America,” reinforcing where the future power and decision-making lies. Up-and-coming California cities that are burgeoning with development, such as Sacramento, Irvine, Fresno, and Oakland, are a huge contributing factor to the national and global economy. These metropolises will ultimately help set the vision for how we can adapt and modernize infrastructure to live, work, play, and create a sense of community. At the heart of any city is their personality, created by a tapestry of the people and businesses who reside there, and the perception of how others view them. One important piece of the equation is a city’s go-to-market strategy and creating a consistent, cohesive brand story that runs across all communication channels—from a city’s website or tourist app to more traditional examples of signage around town. Gensler participated in a pop-up fashion installation and exhibit to promote Costa Rica's heritage for the Traffic Museum project at Museo de Oro in San José, Costa Rica. Image © Juan Caliva. Gensler has helped cities explore how to dynamically engage with their communities through pop-up activations like the Traffic Museum project in Costa Rica or parKIT, the first semi-permanent parklet in Washington, D.C., to create micro experiences for all ages. In Chicago, we developed a mini dance party with Neon City, prompting moments of delight to help people connect in a more grassroots way. The impression a city makes also has to do with their social consciousness, such as how to address the homeless issue through affordable solutions, like permanent supportive housing in Los Angeles. In San Francisco, we've explored welcoming, shareable moments to greet visitors and guests through the city’s Visitor Information Center and we’ve designed interactive installations for the community to rethink public space through the city’s Market Street Prototyping Festival. 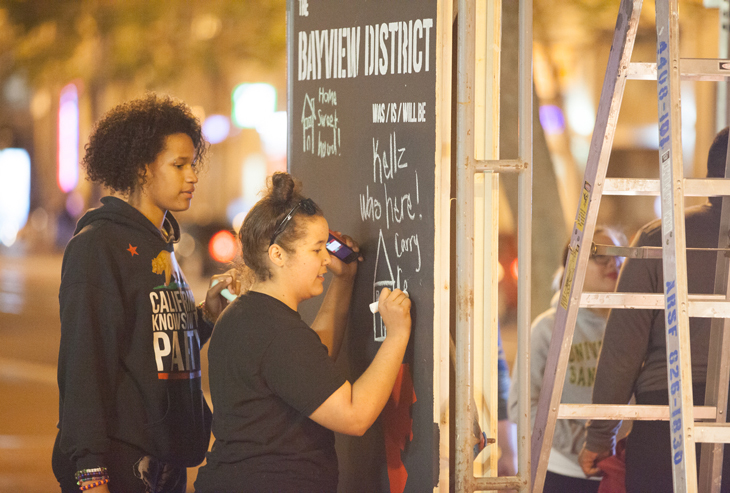 Gensler designed interactive installations for San Francisco’s Market Street Prototyping Festival, drawing inspiration from the city’s neighborhoods. Image © Terence Lee. According to Gensler Experience Index research findings, people are using public space as a platform for varied activities. It’s about having fun, socializing, being inspired, unplugging, and trying something new. Our research finds that 94 percent of public space visitors do multiple activities while there and 85 percent of the survey respondents spend time with friends and family in public spaces. According to the Gensler Experience Index, 85 percent of the survey respondents spend time with friends and family in public spaces. Now, more than ever, people are identifying with the values and personality of the place. Cities know how important their brand personality and image are to the success of who they become, and this can be created through a series of activations. Cities must embody the change they want to see and find great partners to help them deliver through both the private and public sector. California’s next generation are moving to these up-and-coming cities and eyes will be on these communities to drive new behavior and promote the future. 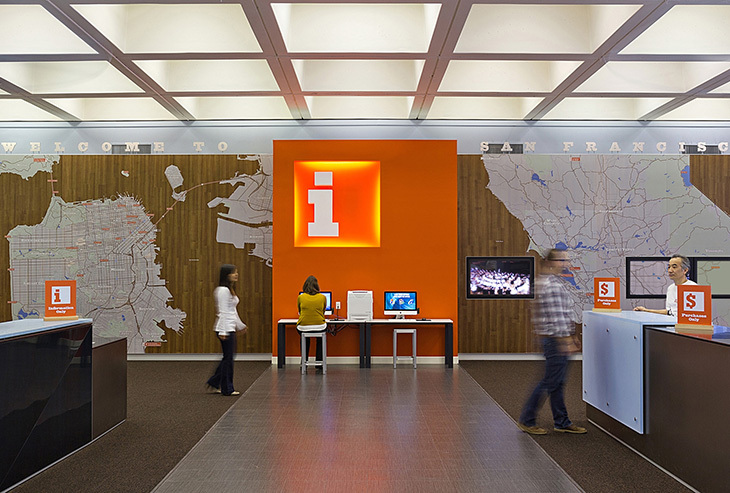 To further engage on this subject check out Gensler’s recent work on cities and brand development or connect with Jennifer Gebhardt to learn more. Jennifer Gebhardt is a regional Brand Design practice area leader and works with her clients to understand their culture and values. She communicates those ideals to both brand and workplace design teams, assuring brand is an essential piece of every project. Contact her at Jennifer_Gebhardt@gensler.com.